The church was erected by Lady Willoughby de Broke in memory of her husband. The foundation stone was laid on 24 July 1856 and the new church designed by John Gibson was consecrated by the Bishop of St. Asaph on 23 August 1860 after construction at a cost of £22,000. 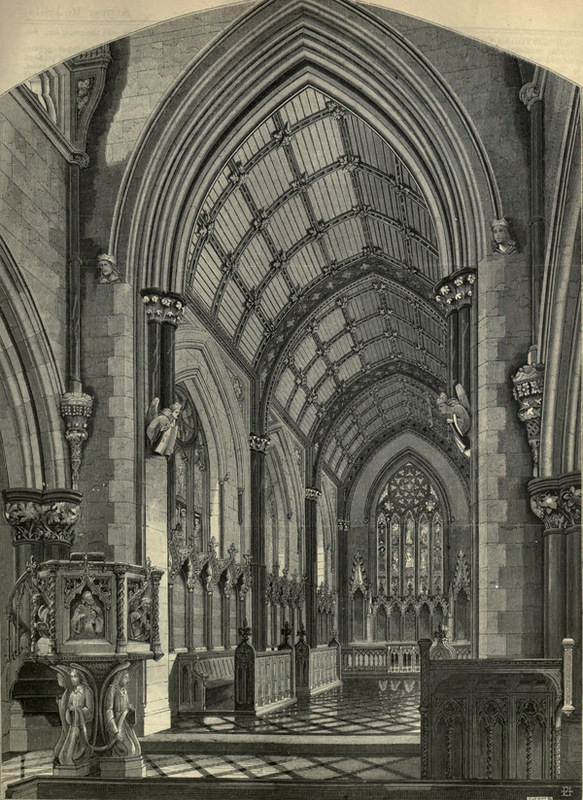 The church contains pillars made of Belgian Red marble, and the nave entrance is made from Anglesey marble. It also contains elaborate woodwork, and in the tower can be found windows of stained glass on the North and South sides, featuring Saint Margaret and Saint Kentigern, and is a popular tourist destination.